I love a good piece of pizza BUT I do not like all the extra calories I have to work off. So to the rescue is this pizza and it is sssooooo GOOD! So often the ‘low fat’ versions are – well – kinda icky. But not this pizza. Really, you can trust me on this one. It’s not only low in fat, less calories, it’s figure friendly too, and best of all……dum, dum, dum….it actually fills you up! Give it a try tonight. 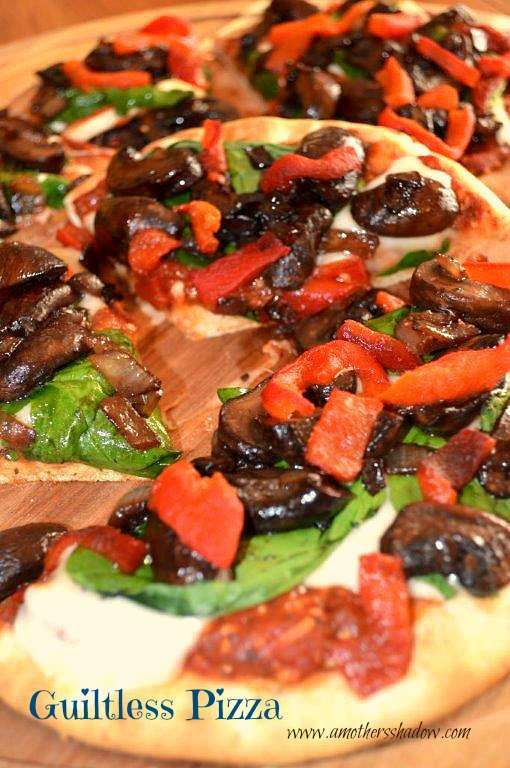 Oh, and by the way, this skinny version pizza that’s packed full of flavor, is so quick and easy, you will make it often – I do! 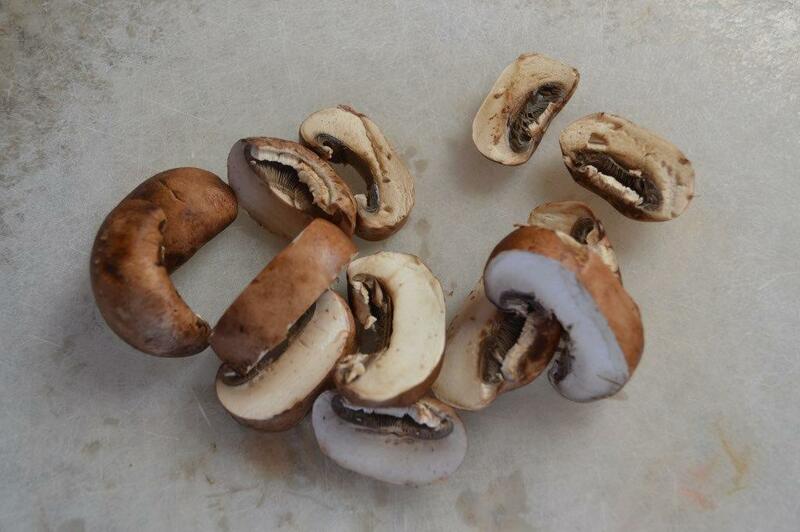 Slice mushrooms into thick slices. Heat 2 Tbl. butter flavored olive oil or butter (may need a bit more if too dry to saute) over med-high in a skillet. 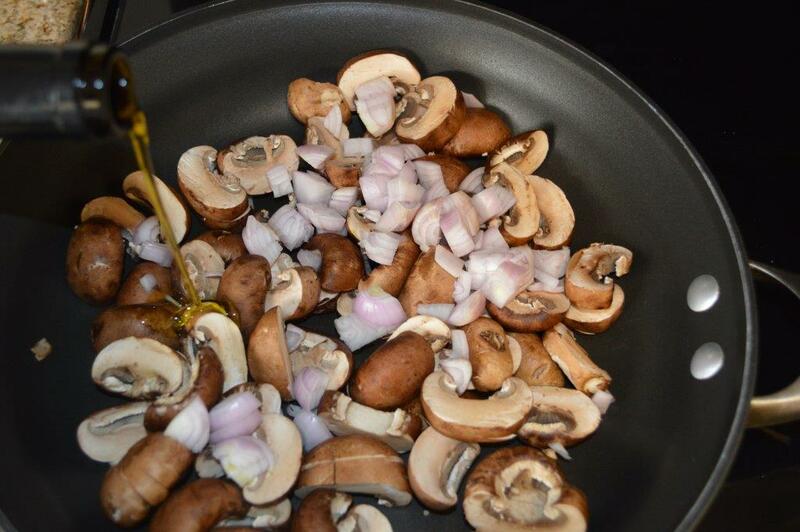 Add in the mushrooms and diced shallots; cook until almost tender. Then add in 2 tsp. sugar and 1-2 Tbl. balsamic vinegar, to your taste. 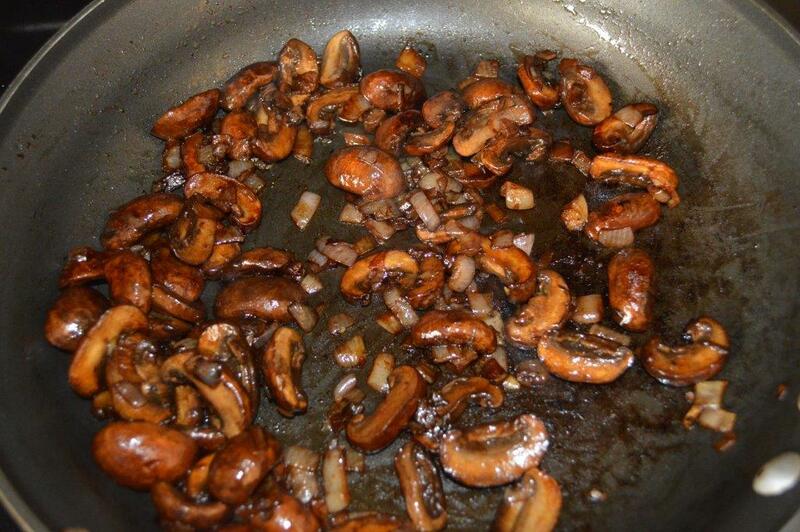 Cook until the mushrooms are cooked through and glazed. Set aside to use on the pizza. Place a pita bread on baking sheet. 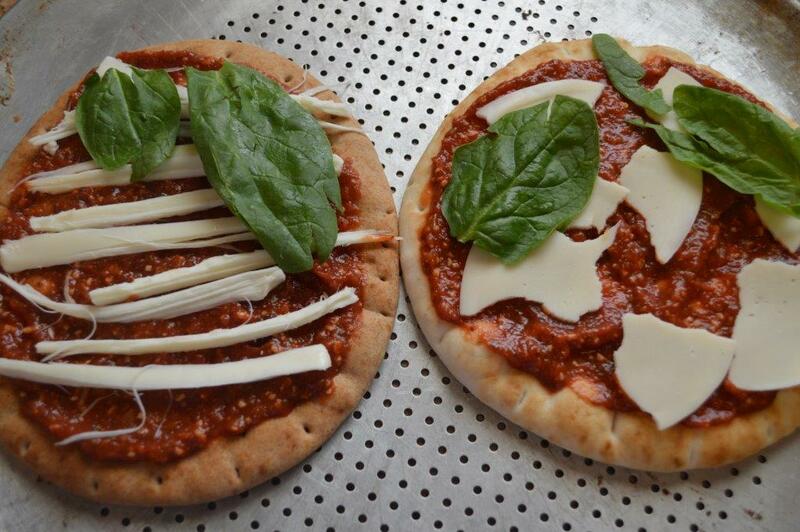 Spread pizza sauce evenly over the pita. Break up cheese slice to cover sauce. 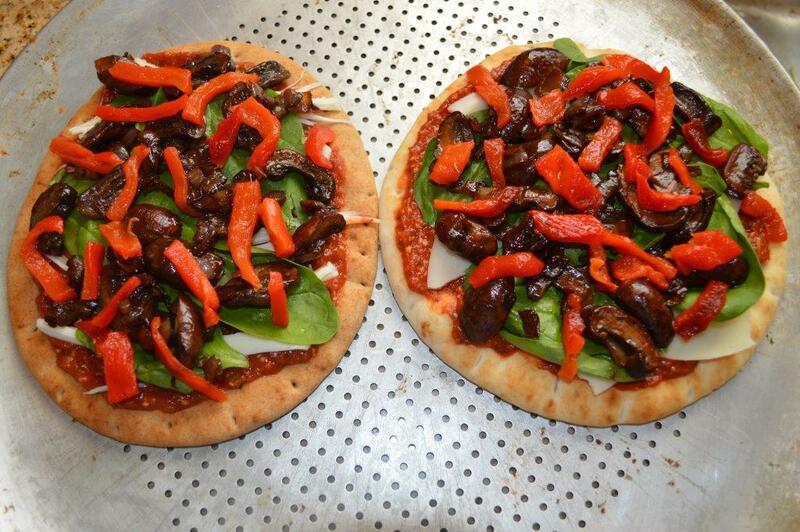 Lay spinach leaves to cover the pizza well. 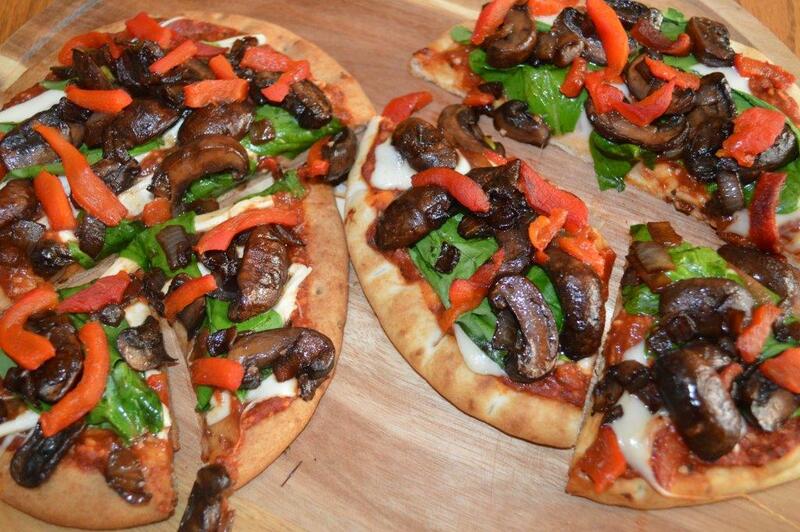 Spoon mushrooms over the pizza. Top with sliced roasted red bell pepper. Bake for 8-12 minutes, just until cheese is melted and ingredients are heated through.